In trading, it is very easy to make our life harder than actually needed. Most people, instead of picking the easy ones, try to fight the market for whatever reasons, and as a result, overtrade, and get into trades that are hard to manage, thus they make more mistakes, leading to worse results and tilt, and so on. Does it really have to be that way? Of course not. 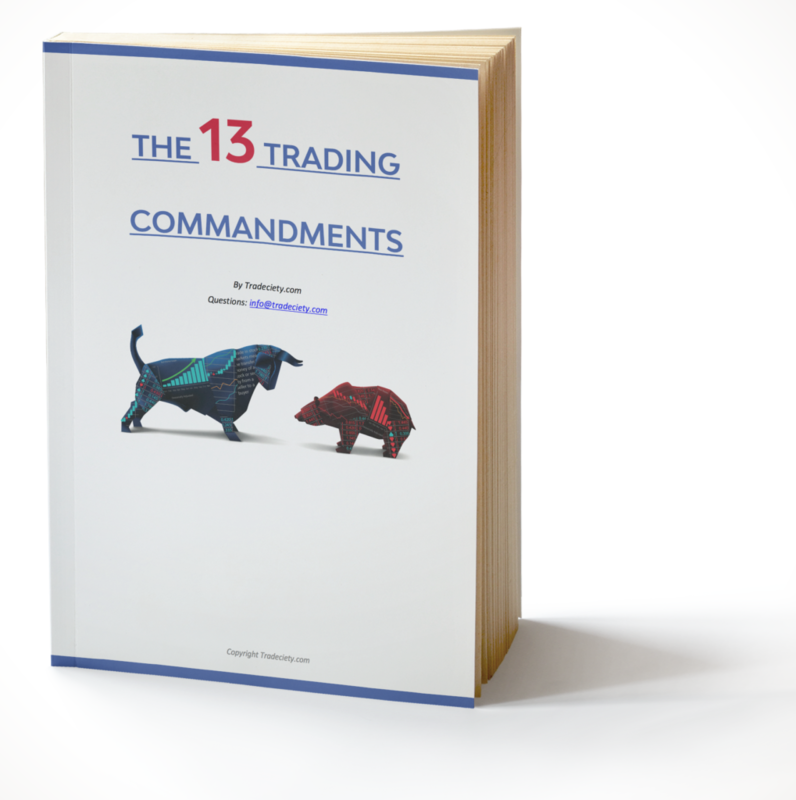 In this article, I want to show you what an “easy” trade looks like, and what “hard” trades look in comparison when trading my swing trading strategy. Ready? Let’s go. So if you watched my Youtube playlist, you know that I watch for classic price action bars (pinbars and engulfing bars) on the Daily charts and higher to pick my swing trades and then go down to the 4-hour and 1-hour charts to stack my trades and get in as many scale in’s as possible, while I target the high/low of the previous swing. I want the swing to be as clean as possible because only if we get a clean trend on the lower timeframes, can we easily stack orders, or we will get stopped out prematurely by choppy price action. To “predict” the likelihood of getting a clear swing, I simply look at the previous swing. How quickly did price cut through, what is likely to get in our way? Because if on the way up, price didn’t have a lot of trouble, then most likely on the way down, it won’t have a lot of trouble either. 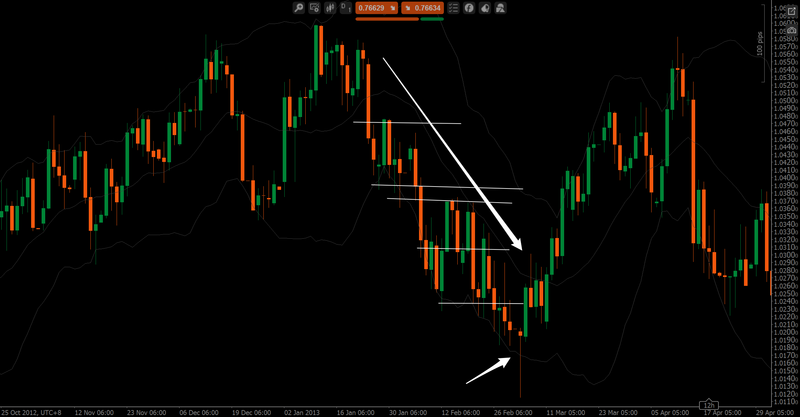 I trade either with the trend (1-2-3’s) or against the trend (exhaustion + divergence). 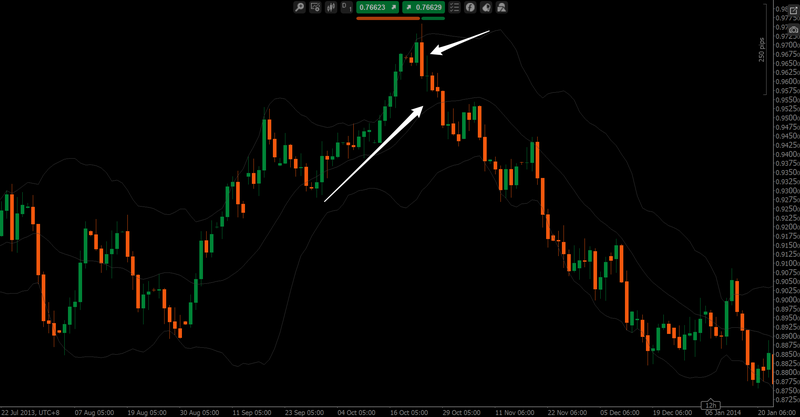 Here is an example of a perfect swing prior to taking a trade. 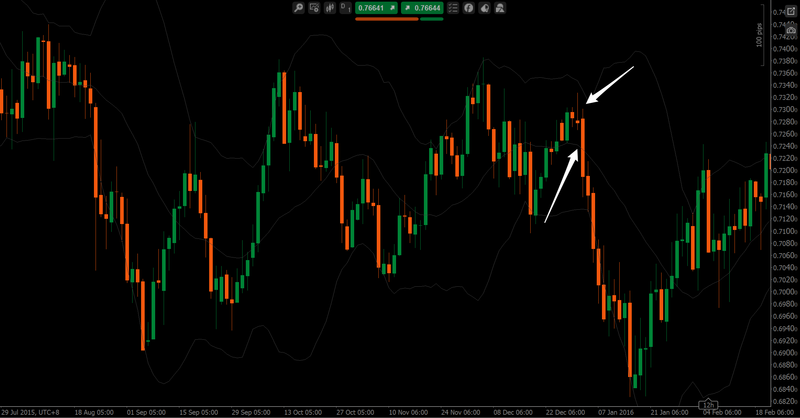 Before the engulfing bearish bar happened (right arrow), we had a swing up without hesitation. What else happened was that we have a H&S structure here, plus a few other reasons that made me take the trade, however for now I want you to focus on the swing that happened prior to the bar. 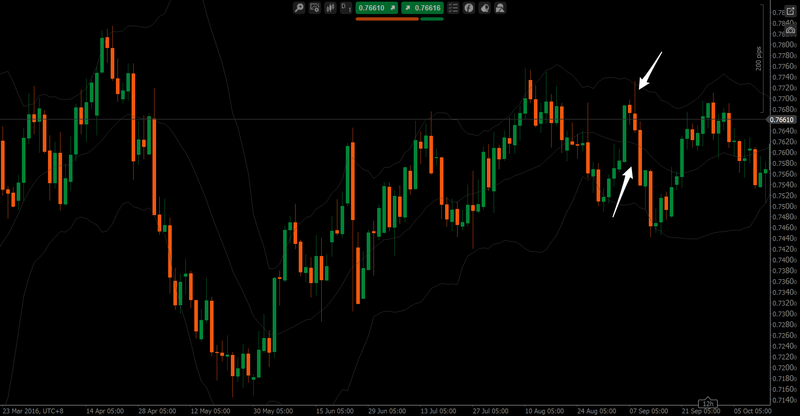 Do you see any S/R on the Daily chart that could come into our way before reaching the last swing low? Exactly. Now here comes a picture of an ugly swing that will make me pass on the trade. I marked with the white lines all the problems that we run into when we trade this thing short. Apart from the really nice 3-swing structure and divergence that we had prior to the bearish engulfing bar, we trade into something really ugly and that is something we don’t want. Here are two more examples of pretty swings. This is NICE. Apart from other price structures, I don’t want to get into here, this swing does not give us a lot of chance for interpretation. It is a clean-cut price movement, that’s it. And you can see with how much ease we reached the last swing low. Here comes another beautiful one. And here comes another ugly one. I think by now you get what I’m trying to show you. While this is by far not the only thing I look for when deciding whether to trade a run or not, it is absolutely the first thing I look for. And while sometimes the setup might otherwise be perfect and I will still trade it, simply because going down to the 4-hour charts will give us ample of room to get to break-even before the trade turns on us, it is just so much easier to trade clean swings instead of trading into a messy chart. So actually, the golden rule for my day trading strategy, “only trade pretty charts”, applies for my swing trading strategy as well. 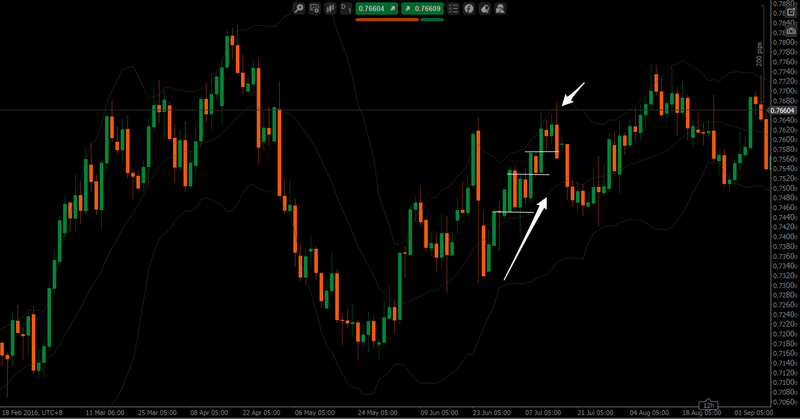 I think it is incredibly important to only trade charts that appeal to you visually, as this will make it much easier for you to manage your trade, hold your trade, and exit your trade, thus leaving much less room for making mistakes. This makes our life easier. Especially in an occupation like trading where mistakes made equal money lost (most of the time), making things as easy as possible for us is the number 1 priority. Other things I look for are of course S/R levels, divergences, trend lines, and macro structures: triangles, horizontal ranges, head & shoulders, double tops and triple tops / bottoms. That’s it. And I ONLY look for these on the Daily charts or higher. Once I decided to trade a run, I go down to the 4-hour and all I do there is stacking trades with pullbacks, price action, and breakouts. I don’t draw any price structures there, as it will simply confuse me more than help me. Once we decided on a direction, we go with it, until all our trades hit the target, or our trailing stop gets taken out. Once I get taken out, I will give the run one more try, if my macro view hasn’t changed, and we get a good opportunity to re-enter, but that’s it. A third try will usually be a very bad idea. That’s it. Before you do anything the next time when swing trading, first look at the previous swing and see whether you will run into any trouble or not.